I was given one of these cheap Chinese compression connector tool because “it didn’t work any good”. I found these things selling from about $20 to $120 on eBay. $30 seem to be an average price for shipped from China, and around $60 for shipped in Australia. Well, it seems they do properly compress the connectors if care is taken to seat the connector properly and the tool is properly adjusted. The half thickness lock nut in the middle of the picture cannot be tightened with an ordinary open end spanner, and apparently no special tool is provided with the tool for the purpose of locking that adjustment. You could use a pair of long nose pliers, noodling the nut and not getting it sufficiently tight anyway. So, I agree, the tool does NOT work well… due to the difficulty in locking that adjustment. Above is an ordinary 12mm OE spanner ($6 incl local delivery on eBay) that has been profiled to fit the available space around the lock nut. Basically the tool has to be profiled to a radius of 10.0-10.5mm around the centre of the nut. This can be done paying attention to not damaging the temper of the steel. 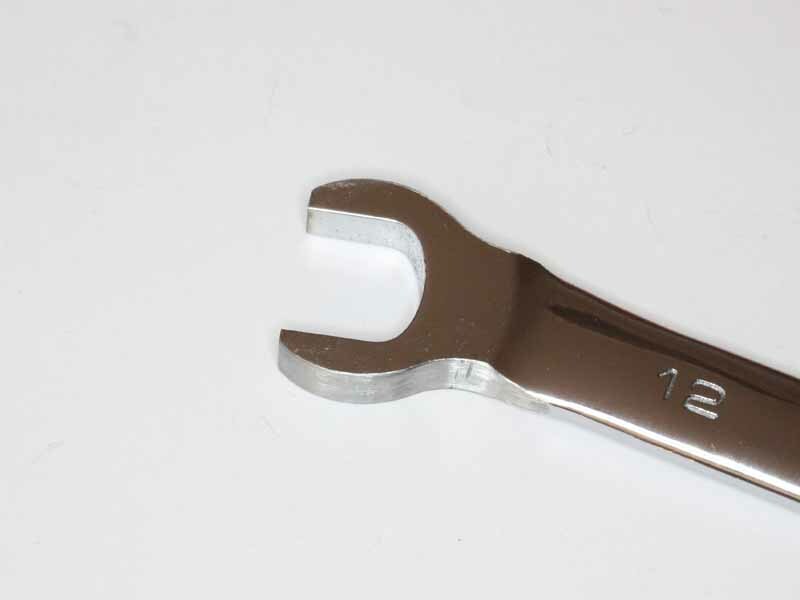 Another (and easier) option may be to grind a notch to accommodated the threaded width out of a 12mm ring spanner, but I have not investigated whether there is always sufficient thread exposed to fit the spanner thickness. The BNC adapter pictured above required a hole drilled to accommodate the centre pin which protrude from some BNC plugs. It is quite hard steel on the surface. 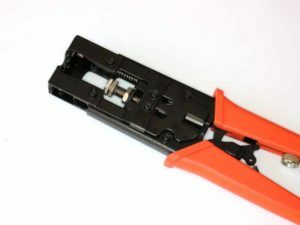 Having made a tool to tighten the lock nut, the tool works consistently though fiddly to adjust when changing connector types. 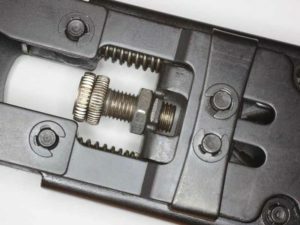 One does need to check that the connector adapter screwed into the end of this threaded adjuster remains tight (pliers needed for that, no alternative). Pity it didn’t include some small springs to bias the cable latch open when there is no cable. 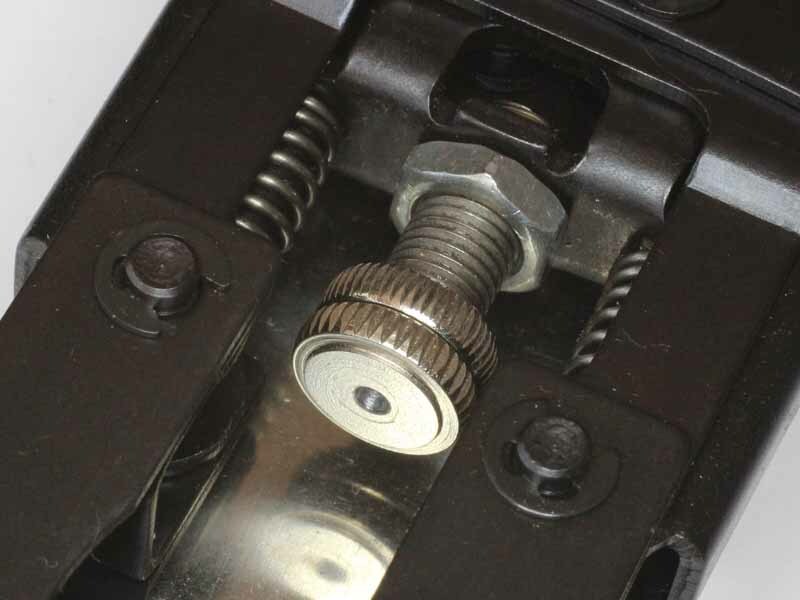 But… unless you are prepared to make a suitable tool for the locknut, this is one to avoid.